Northern Wisconsin Hosta Society – Promoting the genus ‘Hosta’ for educational purposes with emphasis on culture in northern Wisconsin. There are about 40 different species of hostas which are native to Japan, China, and Korea. They were brought to the U.S. in the 19th century and there are now about 7,000 named cultivars. Hosta ‘Liberty’ was introduced by J. Machen, Jr. in 2000. A sport of H. ‘Sagae’, it has a moderate growth rate and reaches a height of about 39 inches with a width of also 39 inches. 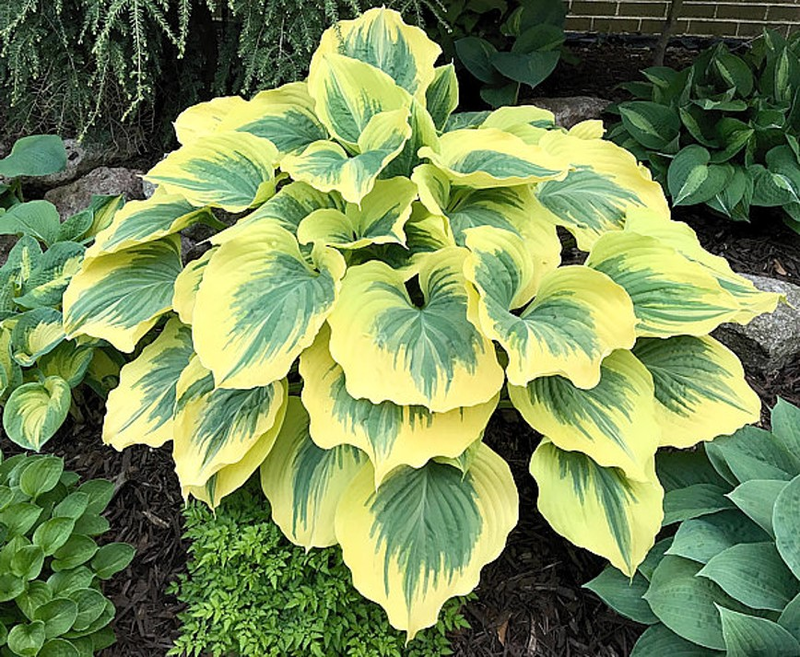 See the full characteristics in the Hosta Treasury. The March edition of the AHS eNewsletter starts out with the sad news of the passing of AHS President, Gregg Peterson. He died in the early morning hours of February 22. An active member, speaker, and current president of the American Hosta Society, he enjoyed gardening with and talking about hostas! He spoke to the NWHS in May 2012 on leaf judging, February 2014 on the hosta calendar, and our bus trip viewed his garden in 2017. He and his wife Amy had an impressive gold hosta garden in the front and giants and minis in the back. He will be greatly missed by all. American Hosta Growers Association The American Hosta Growers Association is a trade organization for nurseries that specialize in the growing and sale of hostas.